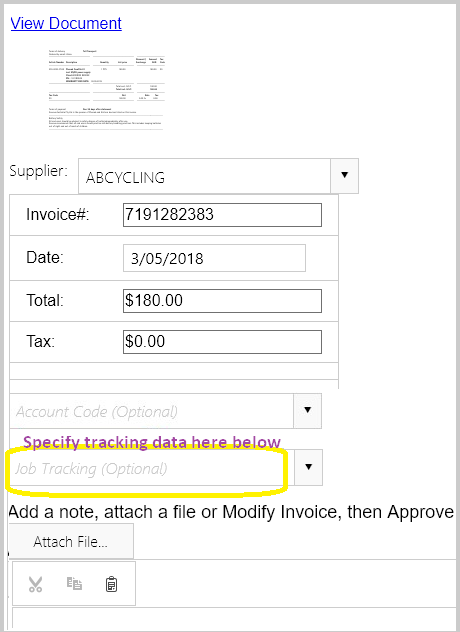 As a user, you can specify tracking data (tracking options) at the time of invoice approval via email. Login, click Settings, turn on the Enable Approval Workflow . Then each invoice will be emailed to you for approval before exporting to your accounting software. In the email, you can click Modify – you will be directed to a browser window. You can specify Tracking Option there. If the tracking data you specify already exists in your Accounting Software (such as Xero/MYOB), we will use it; otherwise, we will create a new one in your Accounting Software. where Job is tracking category, and 11184 is tracking option. 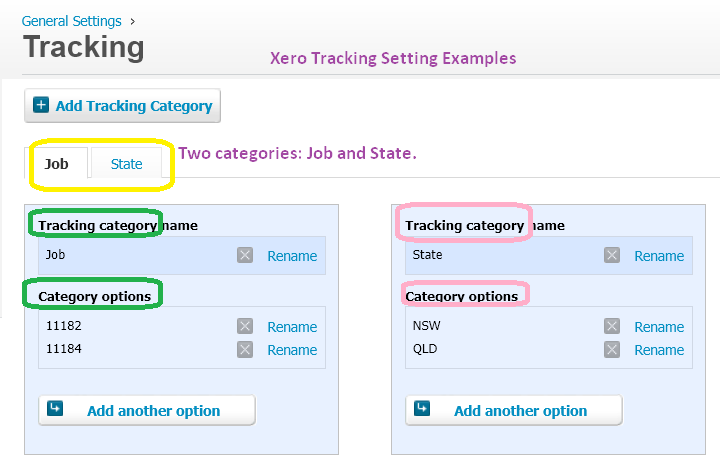 If yo have more than one tracking categories (Xero Settings example), type in each Tracking Category followed by Tracking Option. For example, enter “Job 11184 State NSW”, or “Job 11184 | State NSW”. You can include ‘|’ or leave it out. If you don’t follow the rules/convention above, no tracking data will be exported to your Accounting Software.